Email Address We will NEVER sell your email address to a 3rd party or send you nasty spam. Promise! Thank you! We will send you an email within the next 5 minutes with a link to your templates. Why do I need a line sheet? Those templates are beautiful, easy to use and they are free! 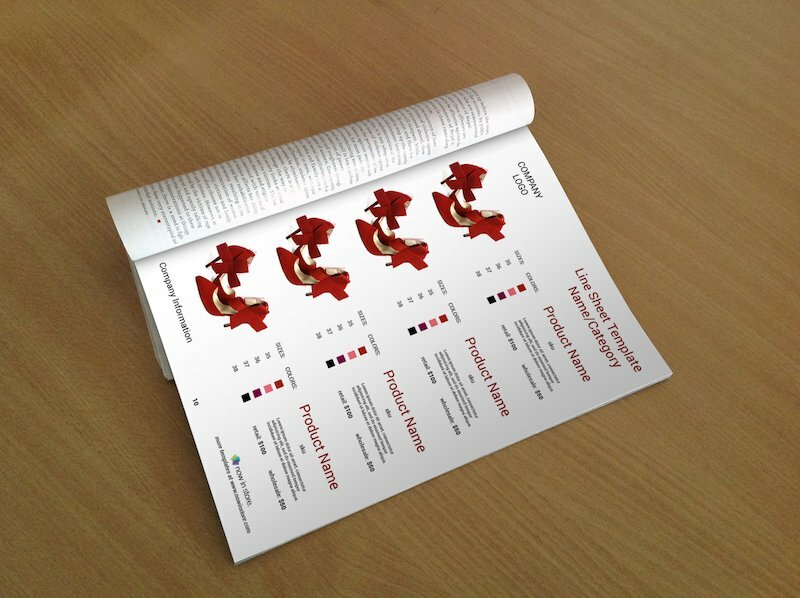 You can create any flavour and variety of catalogs with our free line sheet templates. Using our line sheets templates can be straightforward or fun by adding personal flare. You can download those templates in Photoshop & Word formats (PSD & DOCX) and adapt them to your own business by adding your logo, setting your own colors or using your own font. So let’s get started. MSRP (Manufacturer Suggested Retail Price). Depending on the type of products you are selling you may have to add additional information especially for variants. Let’s say that you are creating a t-shirt line sheet template. You will probably need to add the different sizes available (S, M, L, …) and materials used to create the shirt (Cotton, …). But if you were selling bags for example, you would need to display the different dimensions of the bag, it’s weight... As stated earlier information is the most important part of your line sheet so you shouldn’t set the focus on images, but they still need to look professional, clean and most importantly, they need to be consistent. Our advice for you is to take pictures of your products on a white background, so that they all look the same. You should also put too many products on each page (9 max.) of your line sheet. Now let’s take a look at the different free line sheet templates that we created just for you. Since we are a small business ourselves and we know that you really need to be careful on how you spend your money, we decided to give you for free this free pack of line sheet templates. They are perfect if you need to create a small catalog with a few pages and that you don’t have any money to spend on this yet. Once your business grow and you are ready to create larger catalogs then you can move to automatic catalog maker solutions like ours: Now In Store. You can download all of those line sheet templates for free and customize them to your needs. Add your own logo, your personal information (address, email, phone, …) and change the different colors so that it better reflects your brand. Please do not hesitate to contact us at info@nowinstore.com if you have any trouble using those templates, we will be happy to help. 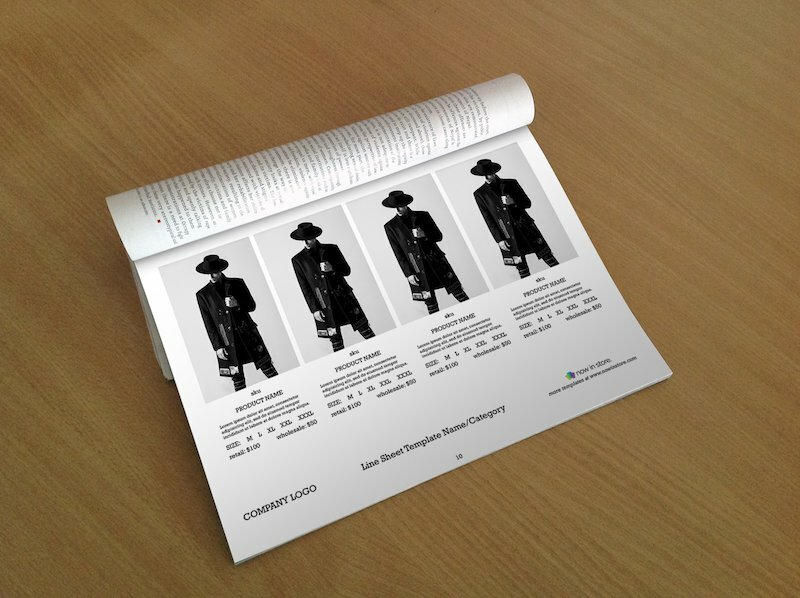 Our men fashion line sheet template is designed for businesses selling men apparels and accessories such as ties and suits. As you can see this line sheet template has large pictures so that you have enough space to display the whole length of your clothes. It’s simple and clean but still show all the information your buyers need to purchase your product. We used a typewriter-style font, which gives a sense of professionalism and seriousness to the whole design. 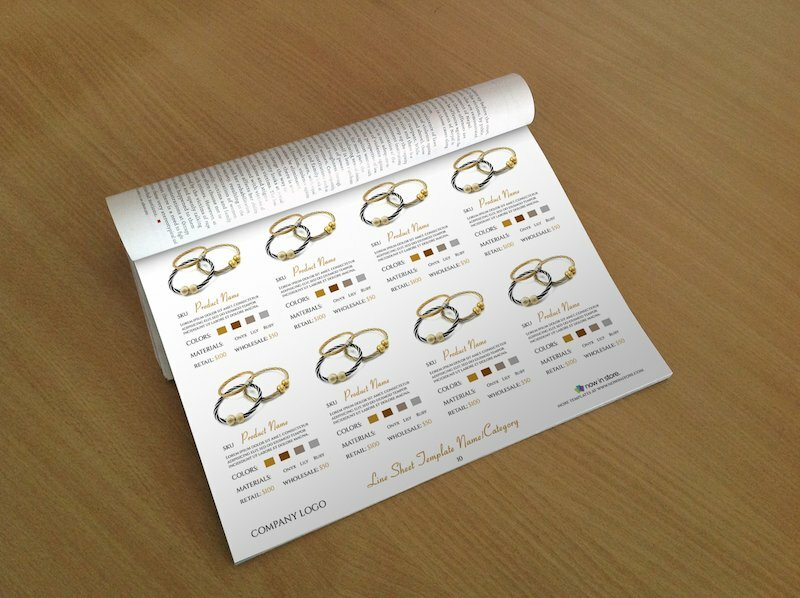 Our jewelry line sheet template is beautiful and classy. The thin sans-serif font used for this design gives a feel of luxury to this template, which is reinforced by the gold color used for prices and names. You have space to put the different colors available for the variations of your products and the materials used for its fabrication (gold, silver, …). 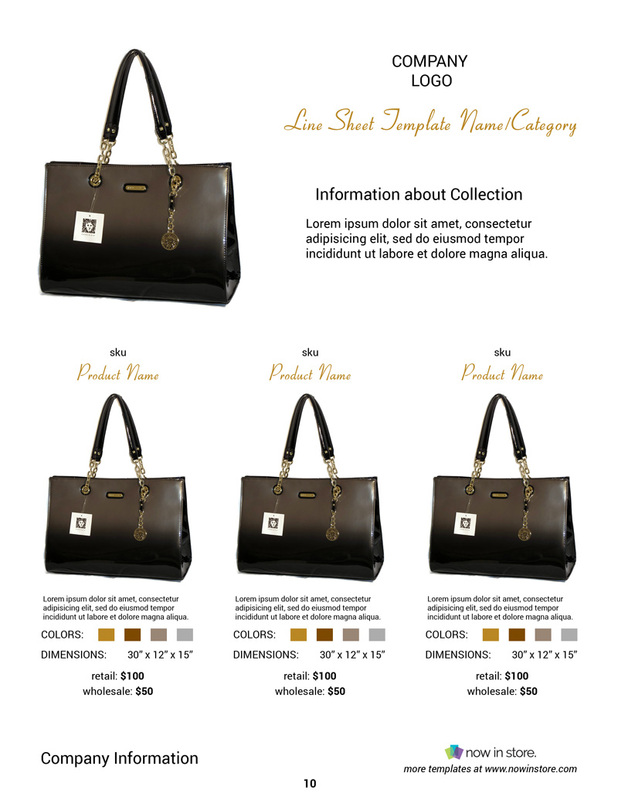 For our bag line sheet template, we decided to put some emphasis on one of your products on the first row but you can easily modify the template to display 3 products on the first line as well. 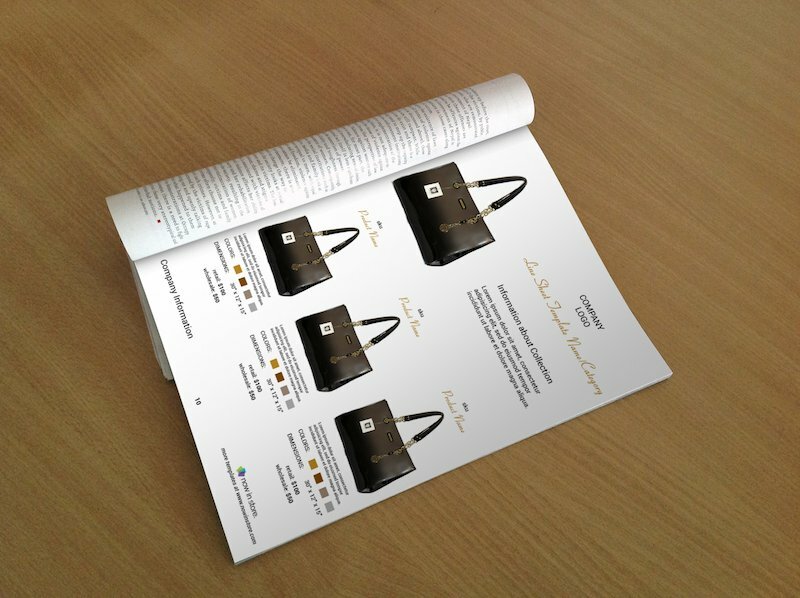 As you can see, you have space to add the different colors of your products and the dimensions of your bags, which is an essential piece of information in this industry. Our shoes line sheet template use a column layout that makes it really easy for your customers to see all the information they need within a few seconds. Sizes, colors and prices can be spotted with absolutely no effort. Your customers will be delighted to look at your line sheet since they won’t lose any time finding the information they need. 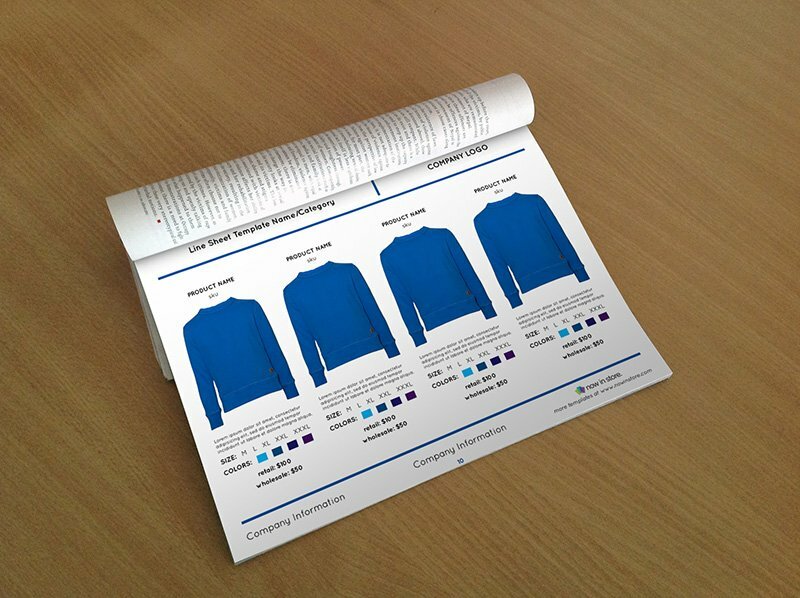 Our shirt line sheet template is perfect if you are selling t-shirts or casual shirts. The different colors and sizes available are clearly visible which is all you need for this kind of products. The rounded font used is enjoyable to read and add a unique style to your line sheet. 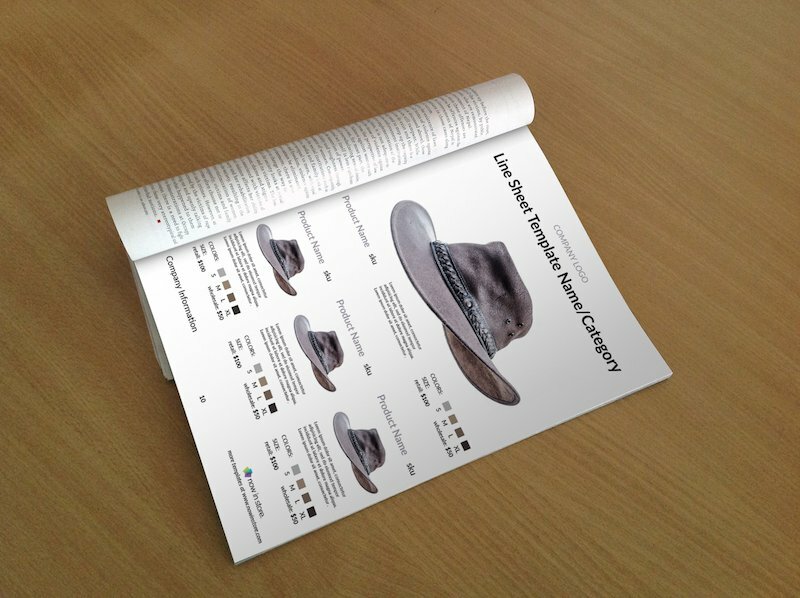 Our hat line sheet template is perfect if you are selling hats and caps. This line sheet template put the emphasis on one product on the upper part of this design. You can easily display more products by replacing this first row by elements of the second row. Add your own colors and sizes to this template to personalize it.